Shift your time, energy and money to what matters most. Making small shifts or adjustments in your daily life can have big impacts when it comes to saving money and being healthy and present for the people you care most about in life. 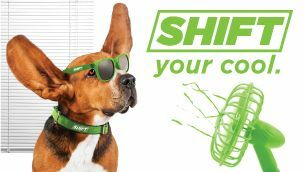 You can #shiftfoco by taking the pledge right now! Click the button below to pledge to shift your mail, shift your cool and/or shift your ride. Then check out the suggested ways to take action. You don’t have to completely overhaul your life, just commit to a few small shifts per year. OptOutPrescreen - Just one click allows you to opt out of credit and insurance company mailers for free. 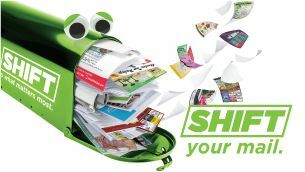 Catalog Choice - Free option to select which catalogs you want to stop receiving. We live in Colorado, which means it can get warm during the day but cooler in the evenings. This summer, instead of turning on your A/C right away, make sure you use your ceiling fans and close your blinds to cool down your home. Using a fan and setting your A/C 2 degrees higher can save up to 14% on cooling costs while still feeling comfortable. Save your gas money for what matters most. Fort Collins has over 60 miles of paved bike trails and around 200 miles of bike lanes. Biking to work regularly can save you money on gas and car maintenance and bonus - it's also good for your health! Need a Bike Buddy? Get help learning the ins and outs of bicycle commuting. 80% of Fort Collins' community members support climate action and want simple, easy actions they can take to do their part. 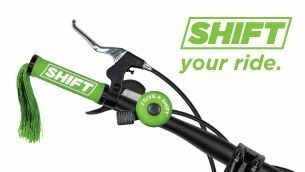 Shift is dedicated to mobilizing our community to reach our climate action goals of a 20% reduction below 2005 levels in 2020; 80% below by 2030; and to be carbon neutral by 2050. Want to learn more about the City's Climate Action efforts?